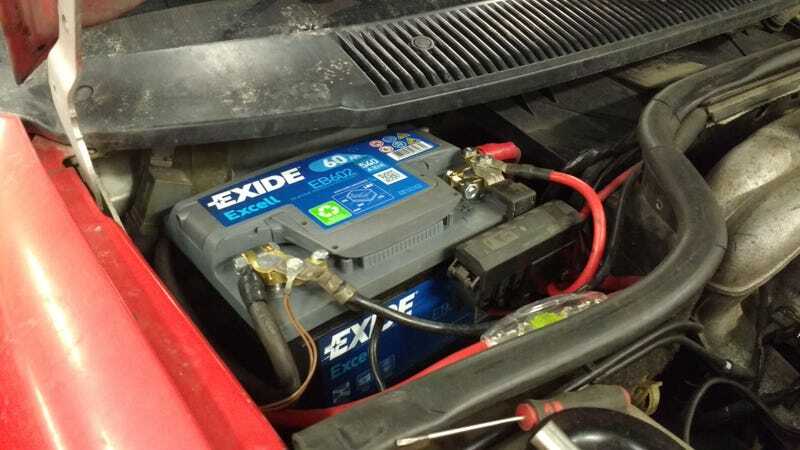 It just might be time for a new, not 5 year used+from other used car, battery to make an apperance. Requires some massaging and fiddling with brackets since these Fords come from the factory with flat battery posts(yay 90's). As a bonus, the battery cover fits even better now!